This day is a day for 'New Beginning' ... after 2012 ... after the 'Drama' (impact) of the Pure New Energy of the New Time ... and What a better day to announce and begin ... a New Mathematics ... formally speaking? In fact, The Roman ... the Roman Empire did a great Disaster with the Calendar ... their Calendar ... and today people is unaware about this. In fact, they ... with zero respect for the Time ... simply extend and add two months ... July and August ... for Julius Caesar and Augustus ... like Months number 7 and month number 8. In fact, if you play attention ... September ...October ... November and December ... represent the months number: 7, 8, 9 and 10. In our Lunar Calendar ... we adopt the name of the Constellation ... instead the name of the months. Is Honest to have Twelve months (10 Months + 2) ... but is ABSURD to have Julius and August ... Who cares ... about the Great Roman Emperor ... killed by Brutus? ... Not me. Not Rome ... therefore is somehow ... intelligent to avoid and have another Calendar ... another mode to count Time ... not a Solar ... but a Moon Calendar. And the Moon ... can be represented by Goddess Selene ...The Goddess of the Moon, like appears in Gallery of Niobe, at Sala 42 ... Sala della Niobe ... in Galleria degli Uffizi of Firenze. Greeks and Romans ... with great Love and Intelligence ... create Statues to represent the Soul of the Planets ... the Soul of Planet Earth ... Gaia ... The Soul of the Sun ... Elios ... and its Protector Apollo ... and also the Moon, which Soul name is 'Selene'. What is the Sense of ... A New Mathematics ... with Goddess Selene? ... and the Soul? 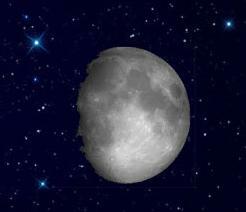 In fact, the Moon was channeled in the Pleiadian Agenda and she say: "I am completely balanced. I am 400 times smaller than the Sun; yet the Sun is about 400 times farther from Earth than I am; therefore, I appear to be the same size in your Sky. The Sun and I are balanced". ... An Harmony which is ... Curved ... An Harmony which is Divine ... an Harmony which is Perfect, and is Musical, like Pythagoras explained and unlock. In fact, also in Nanotechnologies ... Scientists have established that the best figure to encloses material has the phases of an Octahedron. Have we ... a Renaissance today? ... Not exactly ... The Renaissance ... Holy Show ends when Pope Clement VIII ... burn Giordano Bruno on the Stake, February 17th, 1600. In fact, Galielo and Bruno compete for the Chair of Mathematics of University of Padua in 1591 ... but the Chair was assigned to Galileo. In fact, I Giovanni ... am particularly comfortable with Pope Francisco, because he represent the New Church and apply changes. "Why must I go away to school. Father? Why can't you teach me more here at home? "His father had shaken his head. "There are certain things I can teach well, son, and certain things I can't teach at all. Remember, going to school is a privilege — the privilege of nobility. The sons of poor commoners have to go to work by the time they are your age — there's no school for them. But for you, the son of Vincenzio Galilei, musician at the Court of Florence, there will be schooling. Be glad you are one who can go to school!" And Galileo, who loved his father very much and would do anything to please him, clapped his hands and cried, "I am glad, Father, I am! "Now Galileo began to practice his Latin declensions, conjugations, and grammar rules out loud, so that he would be ready for the next day. "Canto, I sing,- cantos, you sing; cantat, he sings. Sum, I am; fui, I was. Qui, quae, quod, cuius, cuius, cuius, cui, cui — "
"What is all this commotion in here!" His mother's voice hissed sharply as the door was flung open. "I was just practicing my Latin for tomorrow. Mother." This beautiful citation ... from the Young Galileo ... was in the Florence of 1574 when Galileo and his family moved in 1572, when he was eight years old. The preparation for the Study ... In fact ... Galileo begin to study 'Latin' ... by himself ... before to go to School ... just to be ready. Latin was a Language ... still offered in many Schools today ... in remembrance ... Of What? ... Latin was also part of the 'Standard Curriculum Study' at the times of William Shakespeare' in the successive century, around 1616 ... and still today like I comment. Jacopo Borghini was Galileo tutor in Florence before he enter in a Convent ... and teach him, Mathematics when he was ten years old. But this article is not to speak ... about Galileo or Shakespeare ... and regarding Shakespeare there were two ... one the real and another the fake personage ... one the Writer and another the Actor ... No. This article is about Wisdom ... based on Love ... to improve Power ... in Humanity. The idea ... behind ... is the Path to the Tree of Life ... because only the Fruits of the Tree ... Heals the Nations ... and Of Course the persons that are able to take the fruits for such tree ... can heal the World ... in Permanent mode. Therefore we do not only need ... A New Science ... for the next Aquarian Age (about 2000 years, exactly 2,160 years) ... or the Next Photon Band passage ... which happens each 10,800 years ... or the next movement of the Planetary Kundalini ... which is each 26,000 ... now located in South America ... but also for the next Cycle ... the Next Galactic Day ... which is very very very ... as long as ... 230,000,000-year orbit around the Galactic Center. Now ... the idea is not ... to become a Painter ... because Leonardo was well enough ... The idea is to use ... 'The Math behind' ... and use into Physics ... to have the Physics of the 21th Century and beyond. Let's discuss astronomy and astrology just for a moment, for they have a physical effect upon your consciousness, and are not some mysterious mythological forces only understandable by certain individuals wearing crystals and using a lot of candles [Kryon humor]. The sun is the fulcrum of the solar system. Solar systems are the building blocks of galaxies. Galaxies are the building blocks of a Universe system. For earth, the solar system is the closest magnetic and gravitational force that affects it. For many years we've tried to explain how the magnetic grid of the planet "talks" to your DNA. Now even your science admits that Human cellular structure responds to magnetic messages. Why stop there? Let me tell you how astrology works, for it's the same principle. Therefore ... This 'Interdimensional Mathematics' ... full connected with the Divine Proportion ... solves and unlock ... the Physics ... and the real world ... when available. Russian Mathematician ... Alexey Stakhov ... has worked many years in this ... idea ... which he title, Mathematics of Harmony. However, the Panorama is more extended ... wide extended ... but Thanks, Prof. Stakhov. Because I am working on these concepts for some years ... like Volume 12 ... in the Collection 'Forgotten Science and New Age' ... will be released ... the book, "New Numbers ... 12" ... originally written by Frank Andrews. Please note that I am using the American Edition of the Duodecimal Clock ... with a X ... for ten and a 3 ... reflected for 11. In Mathematics ... are generally used the letters A and B, for 11 and 12. Please note that this book ... will be ... Updated! Professor Einstein ... comment time ago ... because he smell ... that something is missing ... know by the Olders. These missing concepts ... are the Divine Mathematics ... based on a Duodecimal System. "In 19th century the outstanding German mathematician Felix Klein tried to unite all branches of mathematics on the basis of the icosahedron, the Platonic Solid, dual to the dodecahedron (See Lectures on the Icosahedron). Klein treats the icosahedron, based on the golden section, as the geometrical object, from which the branches of five mathematical theories follow: geometry, Galois theory, group theory, invariants theory, and differential equations. Klein's main idea is extremely simple: "Each unique geometrical object is connected with the icosahedron properties". Unfortunately, this unique idea did not be developed in mathematics until now." ... Humm ... Sounds good! “Geometry has two great treasures: the first one is Pythagoras’ Theorem; the other, the division of a line into extreme and mean ratio. We may compare the first one to a measure of gold; we may name the second one a precious stone”. One of them ... is that ... may be ... (depends when and if ...) we can unlock ... the DNA. In fact, the first Twelve DNA Layers are Twelve (Base 12) ... but ALL THE HUMAN DNA ... are 36 = 12x3! ... The Main Consequence of the New Mathematics ... is ... Manipulate the Forces of Nature like Electromagnetism and Gravity.